No matter how small or fragile their baby, nor how helpless the parents might feel, they have a vital part to play in their baby’s care, right from the start. This is what our book is all about. It supplements, rather than replaces, other information currently available for parents; it helps them to understand what their baby expects and needs from them, and to have faith in themselves. Although written primarily for parents of preterm babies, parents of all babies needing hospital care will find it helpful. It will be invaluable to the neonatal team, who constantly strive to make neonatal care the best possible experience for families and their babies. Getting to know your baby and how babies communicate. There are quick, practical tips as well as more detailed information, all easy to follow. The book shows what is important in the early days and weeks, and how parents can comfort and grow close to their baby. The book is 88 pages (18.5 x 26 cm) in full colour. “The book is great; it is a really useful, practical guide for all preemie parents. We are quite early on in our journey so I am waiting to read some of the other sections but look forward to that”. 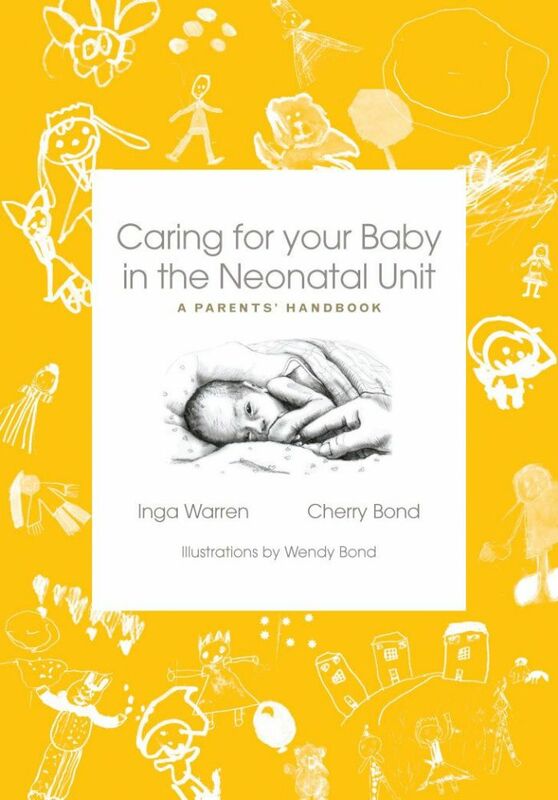 This book is an essential for all parents who have babies in newborn intensive care or special care baby units. It gives you vital information that will help you to get to know your baby and to care for him during his time in hospital. Some of you may want to read all of it, others may find the 'practical tips' and 'quick look sections', marked with a star, a good place to start. Most books for parents of preterm infants are crammed with information but do not get to the heart of the parents interests, which is how to feel close to their baby, and how to offer their baby love and comfort when they need hospital care. Our book guides parents step by step through their baby's stay helping them to understand their baby and to be involved safely and confidently in his care. It is written in easy to read language and makes practical suggestions. It is designed to be aesthetically pleasing and easy on the eye, not to overwhelm parents. Its approach is unique; it will be an inspiring book for them to treasure rather than just a reference book, and as such it will supplement rather than replace what is already available. Parents and professionals who have had a preview are very enthusiastic. In fact readers who have had healthy babies with no need of hospital care have said they would have found it useful too. *We hope you do not mind but for the sake of simplicity we have referred to the baby as he and the caregiver as she throughout this book. Inga Warren is the Senior NIDCAP Trainer, Co-director of the Family and Infant Neurodevelopmental Education Programme, Early Babies author, Consultant to Bliss. Cherry Bond 30 years as a neonatal nurse, and now teaching alongside Inga.